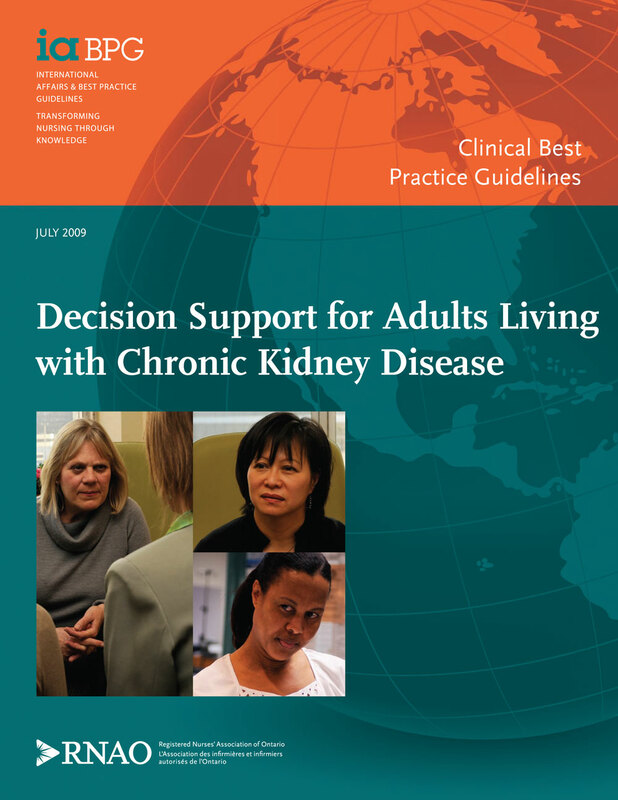 To help nurses recognize patients with CKD experiencing decisional conflict related to situations in which there is more than one option available for managing their condition. To help nurses support patient involvement in reaching quality health decisions. Quality decisions are made using the best available evidence about the options and are consistent with the patients’ values. What are the common health decisions faced by patients with CKD? How can nurses involve patients in making decisions about the monitoring and management of CKD? What interventions support involvement of patients with CKD in making these decisions? How can nurses evaluate the quality of the decision-making process, including the decision support provided to patients with CKD? How can organizations facilitate and monitor the provision of decision support?